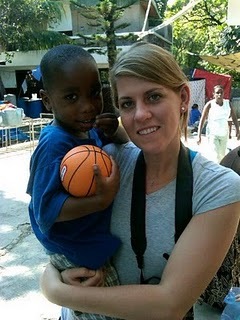 Katie and her "little buddy Job" in Haiti. Katie Lentile is a busy woman. With all of the responsibilities that come with being the Soles4Souls Experiential Manager, Katie still manages to keep in constant communication with volunteers, show gratitude and respect by responding quickly to e-mails and messages, all while juggling plane tickets, organizing trips, setting up the logistics of international distributions, and keeping a personal blog of her journeys. I managed to catch up with Katie quickly via e-mail today as she prepares for back to back trips with Soles4Souls. Here is an excerpt from Katie’s personal blog posted March 19, 2011. Thanks for letting me share your story Katie! I look forward to meeting you in Costa Rica. When I stepped off the plane in Haiti last May I was excited, nervous and a little scared. It had been 5 months since the earthquake and I was anxious to witness first-hand how these people were living and surviving. It is hard for me to put into words my thoughts as we arrived in the airport and then drove down the road past miles and miles of tent cities. I have seen poverty before in developing nations, poverty actually worse than Haiti, but there was a difference in understanding what this country had to overcome. Since last May I have been to Haiti 6 times. I often am asked about my personal opinion in regards to the progression and recovery from the earthquake. Before my trip last week I had not been in Haiti since October. Last summer and fall I did back to back trips each month and definitely witnessed progression, but never had a long enough time span without visiting to realize how much it truly had changed. Anyone who has been on one of the Soles4Souls trips will tell you that Haitians are remarkably resilient. As I stepped off the plane last week and drove through the streets, I thought about my very first trip last May. As we drove down streets people were in tents outside of their houses (regardless if they had been destroyed or still standing). They were fighting for survival and a sense of panic lingered in the air. At that time I remember thinking how impressed I was with their ability to move forward despite the loss of family members, friends, houses, jobs, schools, and in their eyes their own government. They had hope. Last week there were still tents cities on every corner and rubble for miles. However, compared to the first trip, these people are no longer living in fear. Most everyone is still fighting for survival, but they are out and about in the streets, rebuilding their houses, and together are working to rebuild their nation. Soles4Souls partners with HOM and our team stays at their compound in PAP. Last week as I led a team of 5 (smallest group ever) we spent time together each night on the rooftop eating dinner, playing games, and becoming great friends. Every single night the choir from the church spent hours singing and praising in worship. For me personally as a Christian, I was in awe of their faith. God never promises us that life is going to be easy or that horrible tragedies will not occur, but He did give us His Son, who suffered and died for all of us–so that we can trust in Him during the good and bad. Soles4Souls is an organization that is open to all religions, beliefs, etc. When working in developing nations most partnering organizations that are on ground are religious organizations. As we have all learned the 2 things never to discuss in groups (esp. with people you just met and have to live with them for a week) are: religion and politics. The last thing I would ever want is for someone to feel uncomfortable or not welcome during one of our trips. Our partnering organizations fully understand that we have volunteers from all walks of life and are extremely respectful and welcoming. It is my job to make sure the trip participants are respectful to each other – which has only proven to be a bit tricky a time or two…because obviously people have strong opinions. I am writing about all of this to brag on my last group. There were 5 women and I am 100% certain would have never met under any other circumstances. Leaf is a Unitarian Universal Pastor from New Hampshire-studied at Harvard Divinity school, Erin is in pharm. sales – lives in New Jersey with her husband and their pet birds (and is an exceptional photographer), Lynne is married with two kids – attorney from L.A., Sari-lives in NYC-from South America-studied shoe design and could possibly like Gossip Girl just as much as me, Jeanne, a returnee from my August trip that lives in Illinois and helped us with the distribution as she was visiting her boyfriend who is working in Haiti, and myself-born and raised in the south and thankfully have been able to experience other cultures enough to build my own personal thoughts, opinions, and beliefs – while learning and being respectful of others. This team obviously included some strong personalities and opinions, but I was so impressed as everyone shared, learned and respected each other, but more importantly respected the Haitians for their resilience, hope and faith. As I woke up Friday morning (when the roosters started crowing at 2:00am) I checked my phone and read about the earthquake in Japan. During high school I had the opportunity to travel to Japan for a cultural exchange program. I immediately emailed my host family and friends to make sure they were okay and to see how we could help (I heard back yesterday and they are all okay – and sent shoes to them through a connection that is sending aid via air on Monday.) Like most people, devastation and loss has a way of hitting me hard and consuming my thoughts. My prayer is that the Japanese people are able to have hope and faith just as the Haitians. I am encouraged by the Haitians and their faith, just as I am encouraged by each individual who steps out of their own personal comfort zone and has a desire to help others. I am heading out in the morning for PERU!! So have no fear, there will be lots of posts this week. I’ll even take the flip cam! 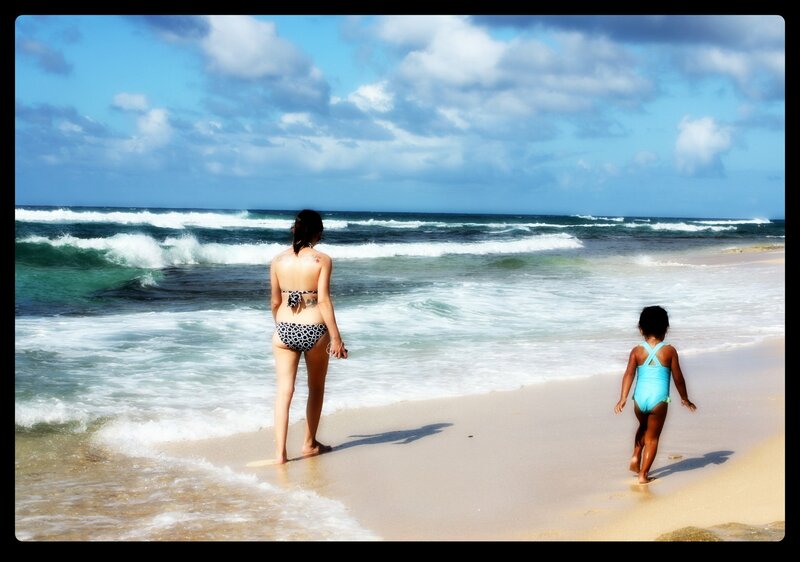 Oh yea – pictures from this trip were posted on the Soles4Souls Facebook page!